Where’s the third option to punch him in the face? This is a serious question? I haven’t actually finished it yet, though. I played approximately one and a half routes before I got bored and excused myself to practice self-care. The verdict so far: 0/10, not enough terrible metaphors. Come on, game. You can do better than “our bodies connected for a long period of time”. I mean, I’ll take it, but that’s weak. I can only hope I can see masterpieces such as “I continued to accept his wedge” and “swollen fruits” (courtesy of Men of Yoshiwara) when I go back to it. Dead Wishes: I backed this game with a friend, and managed to fully complete it without a guide after stumbling around. There was much suffering, but hell yeah. Self-sufficiency. I think there’s a bunch of neat concepts, but sometimes the flow of the story events feels somewhat awkward to me. “What will you overlook for the sake of a happy ending?” is an interesting theme central to the game, but I don’t feel much for it, strangely enough. It feels like it lacks some kind of…impact? I find myself going “huh, I guess that just happened” a lot of the time. There were some routes that did stand out to me in terms of being Wild Rides (TM), but otherwise…hm. I was interested to keep going, but I ultimately don’t find myself feeling very strongly about it. I might replay it again in the future (probably when it’s out on Steam and I get my key) and see if I can appreciate it better. I like the music quite a fair bit. ROOT REXX: I fell asleep in the middle of reading a route while the auto-play was running, but I absolutely refused to reread what I missed out on, so I just inferred it from the context and moved on. I was so drowsy to a point that I…mistakenly posted my liveblog on someone else’s post instead of my own…I don’t know what it is, but something about the game feels painfully artificial. It’s not as if “sort out each guy’s personal issues” is something I’m new to in otome games, but I think it’s probably the way the game ultimately ties it back to the band shtick that I just don’t…care? I feel like the game wants you to have a certain amount of investment in the band or the music so the drama leading towards it should make you feel something, but it’s not working for me. You’re introduced to REXX as this one-hit wonder band that rocked everyone’s hearts with a single and poofed off mysteriously, and I…can’t really understand the writing holding on to the idea that THE BAND MUST REVIVE because Kazune holds that one song so close to her, I guess. Not that clinging onto something isn’t understandable, but the way things are set up feel very…obligatory? I do read SEISHUN or sports manga and I will always feel that rush of adrenaline no matter how many times I revisit the front parts of Yowamushi Pedal, but I just don’t feel it with this game. I replayed The Prison Boys two times while putting this game on hold, and that’s a free-to-play novel game. How do I take the money I spent on this game and channel it into SEEC’s works instead. I am so excited for the day when I can be done with ROOT REXX and it stops hanging over me like a guillotine among my Vita backlog. I STARTED THIS GAME IN JUNE 2018. IT’S BEEN ALMOST SEVEN MONTHS. Psychedelica of the Black Butterfly (localised version): Replaying this was fun to pick up on all of the foreshadowing bits early in the story. I forgot that the game has some really good tracks. It did make me think that the game itself actually works a lot better as a visual novel, since I didn’t brute force my way through the short episodes like I did in the Japanese version and focused on the story, making it pretty frustrating when I was roadblocked as I was trying to progress the plot. Reading things in more clarity did make me side-eye some parts a lot more, ha ha. Looking at it as a whole, though, I did like that the game focused on how people have their ugly sides and make Bad Decisions and the overall themes, gripes aside. Psychedelica of the Ashen Hawk (localised version): Replaying this game reminded me that as much as I like its concepts and thinking about all the ideas it has, it leaves me feeling very…unfulfilled? by the end. I already knew what was going to go down in the story, so I was prepared to receive it when going through it a second time, but more often than not I’m just disapprovingly shaking my head with every new swerve the plot takes. The first time I played it, I was yelling half the time about “SO WHO THE HELL IS (REDACTED)” all the way up to the endings and when I got my platinum for the game, and while the localisation made clear some nuances that slipped by me, hm, yeah, my questions still aren’t answered. I like making my own interpretations, but I feel like Ashen Hawk can be a tad too vague in some areas (especially in regards to that character Who Shall Not Be Named), even if it feels like it’s meant to be intentional on the game’s part. Some of the plot conveniences became a lot clearer to me…such as not remembering something that would probably instantly spur you into action or a relatively traumatic experience because of certain technicalities…I know the Psychedelica series embodies a lot of “people forget things that are inconvenient to them” themes, but mmmmm. Ashen Hawk is weird in that I appreciate it for what it does bring to the table, and I actually like musing on all the possible meta in regards to storytelling and identity brought up in a couple of the routes, but hm, I’m left with this sense of dissatisfaction. Either way, it engaged me as a work, so that’s good enough. Bad Apple Wars: I was really impressed with how stylish the visuals and user interface were upon starting it up, and…that goodwill pretty much ended when I actually started the game. It feels very style over substance, in which everything looks extremely pretty but the content itself feels very bland? After playing through it, I do genuinely appreciate the game’s themes of treating yourself kindly along with its outlook on life, but hm. How do I put this…there are some writing decisions I can understand why the game ran with, but they don’t do a good job of keeping me engaged, and as a result, everything before the climax and route conclusions feel like very gratuitous padding, even if things did happen and there was plot progression. It’s Complicated.mp3. I probably will get to writing a post for it soon. Really makes you wonder how far the translators got with this joke before they just threw their hands up in the air and went “whatever, this works”. Even better: the context is that there is a questioning segment on what the picture means before this explanation is provided to you, so have fun guessing at the possible meanings if your mind doesn’t translate it to Japanese at first. Tasokare Hotel has its weird blips where it does things like “this is my kouhai (junior colleague)” and “oh, did you mean a cabakura (cabaret club)”. Basically the epitome of “just as keikaku (keikaku means plan)”. I also got to a point where there was a clue that was not adapted into English – basically, you search for the words “yu ru sa na i”, meaning “I won’t forgive you”. The English version does not translate the katakana and keeps them as-is, which I guess isn’t so much of a problem since you could see them as some kind of code (except for which is the correct way to read them since their orientations are jumbled), but people who don’t know Japanese would probably not pick up on the tidbit of the “not forgiving” message the clue provides on the side. Other than that, it’s a largely fun experience. And it’s free! Provided you have the patience to go through it several mini-chapters a day for a month or so. The game would hook me way more if I could pay to read by chapter rather than story tickets that cost a dollar per piece. I might write a longer post on the game sometime, I enjoy it quite a bit. I’ve liked the stories I’ve read from SEEC so far, so I’m very interested in getting the special stories when I finish the game. The Prison Boys was also a good time. Yotsumegami: One of SEEC’s early games before the time of ticketed mobage. If you like family themes and siblings, this is the game for you. Every time I play a SEEC novel game I marvel at the fact that they are literally for free even though the content itself is top tier (and CGs are scattered throughout story scenes)! Well, top tier is probably subjective, but I find their works engaging and there’s also a fun gameplay element to it. (Fun is also subjective in that you sometimes have to go pixel hunting in a number of locations.) I’m glad that I can at least pay for the game via the special stories and unlimited reading. Unlimited reading as a paid element I wish they’d add to their newer titles like The Prison Boys or Tasokare Hotel, but I guess tickets are where the money’s at rather than selling a game whole. The music they picked out for the game is lovely. Mai and Imigo have a lot of enjoyable banter. Warning for some elements of body horror, particularly eyes (largely in the latter half of the game) if you want to check it out. I thought the way the endings branched was interesting. I think I might want to write up a post for it as well. Thank you, SEEC, for standard VNs that feature female protagonists. I also wanted to try out Tsumugu Logic, but my phone couldn’t download it, so I guess I’m out of luck until I can get it to work somehow. HeartBaked: I was in the mood to try out more indie VNs. The UI is very fancy but I feel that it can be a bit overdecorated at times when I’m just trying to figure out which symbol means what. I didn’t find myself being really engaged with what I’ve played of it, but I do fully appreciate how witty the lines can be and they give me a good laugh. I am so thankful I can finally quote a game word-for-word the line “I WILL STRANGLE THIS MAN IN HIS SLEEP”. Yes, I still have energy to go on about it. I think I got motivated to draw for Shien’s birthday (6th January) only because I had a mutual who was really excited about Shien and Haili. I saw the Otomate Mobile exclusive art for Cendrillon Palika and I am still yelling about it. Good stuff. I’m quite prone to absorbing others’ enthusiasm, so I think it’s also helped me appreciate their favorite characters more. They’re so cute. Everyone’s so cute…I keep having to refrain myself from typing YOU ARE SO CUTE? in all my replies. Having other people to talk with about something can really help with your investment level. I also shockingly found out that my Mandarin is not as absolutely horrendous as I initially thought it was. I can actually think of sentences on my own that I don’t have to frankenstein together using Google Translate…as long as I can type pinyin that translates into the characters, I pretty much have no problems with the language (other than my vocabulary LOL). It’s probably because I have a much clearer grasp on the grammar rules of the language even if it’s probably rusted to middle-school level now. Klone: Landmine. Nonetheless, my favourite character. Kashika: Landmine. I’m very sorry. But I like him. I guess landmines are defined differently for people because I saw a conversation where someone asked if Kashika was a landmine and they got the reply of “nope! I enjoyed him, actually!” so, yup! I personally don’t have any “landmines”, but I guess I can pinpoint the, well, possible landmine elements in the game that I saw people bringing up every now and then. …I’m actually kind of weirded out the presentation didn’t label a particular character as a landmine since they engage in a particularly egregious action. Hm. I guess (redacted) ranks higher than (redacted). Or is the latter just something so out there for otome games that you don’t really factor it into an existing list of landmines…? I’m putting a post of general opinions and meta in regards to the game because I had a lot of fun looking them up. I do not know why I have never thought of looking to the Japanese fandom when the English side is a dry well. I did do that for Geten no Hana, though I didn’t pursue it for very long…I think I’m still interested in Cendrillon Palika since I actually do have people to engage with about it this time and I haven’t found something new to get into. I’m hoping it’s a game that’s on the table for localisation…I’m especially interested to see how people would react to (redacted)’s route. No matter how many opinions I surf for it and I think I somewhat understand, I still can’t fully grasp it. Glad to know that there are people out there that do enjoy it, at least. Something for everyone. ALSO, AGAIN, I KEEP LAUGHING THAT THE OFFICIAL TWITTER WAS LATE WITH POSTING SHIEN’S BIRTHDAY ART BY ONE DAY. I’m curious if they’ll keep up the one day late trend with Rindo’s birthday, or if he will be the first character after Haili to have his birthday art posted on the actual day. …Thinking about it, please don’t. Please have everyone’s birthday art posted one day late. I will take Haili being more important over any of the pursuable characters. I’m still waiting for news on the art book and the soundtrack for the game. It’s been roughly three months since its release, so I wonder if it’ll be coming soon, going by the timeline for the Charade Maniacs and Piofiore no Banshou art book releases. I was actually thinking of getting those, but I fell back on ordering them, and then realised, hm, never mind, I don’t think I care all that much. Even if I like the art, if I didn’t have prior engagement with the games, I don’t feel that much of a connection with them. I guess the only time I will make an exception is for Kinako’s art, though I ended up getting Kyoukai no Shirayuki together with the art book anyway. …Wait, no, I did end up getting the Yunohana Spring art book. It’s just my stand-in replacement for the fact I probably won’t ever have a physical copy of RiRi’s art for Binary Star. Maybe it’ll take a longer time for news to pop up…or not at all…I feel like it definitely will, though, since Kyoukai no Shirayuki did even though game itself didn’t seem to do that well. I wonder who has the final say in releasing these items, hm. Recent updates: I finally found the message for Natra’s Christmas badge, so I’m left with Ela’s. His is also the badge I consistently see people selling for 5000 yen. (I think it’s dropped by now, at least.) Ela’s a luxury few can afford. I really wish I was in Japan where I can just drop by secondhand stores and see the quotes for myself, I am filled with envy every time I see the K-BOOKS and Lashibang twitters update their new incoming stock. Let me buy things. Otomate, please just sell your merchandise online. I probably wouldn’t get the message badges, though. All I really want are the badges with the countdown art on them. Something interesting: at the Otomate Winter Market, Cendrillon Palika was one of the early sellouts compared to all of the goods from other series available. I’m not sure if that 1) means it’s popular, 2) Cendrillon Palika fans are very dedicated, 3) since the square badges are the only goods available for that series, they get swept up a lot faster compared to other series with a wider distribution of goods, or 4) Otomate had less stock of it compared to the other goods. It’s still really difficult for me to tell what the game’s exact standing is within the general otome crowd, since it had a bit of a troubling development period where it jumped consoles and ended up being the forerunner for Otomate’s Switch releases. 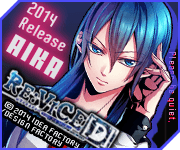 I am so curious about how it would’ve held up to the recent otome Vita releases if it had remained on that platform. I wonder why only Shiro to Kuro no Alice and Piofiore no Banshou are the only series to have collaboration-themed art…I do hope they’re not overworking Suzushiro Karin, at least. Cendrillon Palika is the only series out of the three “new” releases that doesn’t have new art. I Worry. I guess this is probably not something I’d think about if the series was something I got into after it was past its prime, but now that I’m living in the present, I have an unfortunate amount of hope. Getting into niche series with a limited lifespan is very stressful. You start monitoring a lot of things that make you think too much. I was one of those who was really puzzled over the official twitter neglecting to post anything for Kashika’s birthday, which turned out to be one day late (since Otomate seems to at least follow up on their new releases for a year or so before completely dropping the ball). 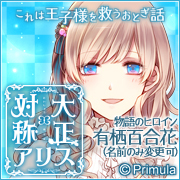 I saw people speculating on the probability of Cendrillon Palika showing up in Otomate Party since it’s the first Switch game and it could be good PR. Who knows, though. I’m at least mellowing out on the game, so right now I’m in a zen state of thinking it would be neat if it got any new developments, but it’s fine as-is at the moment. Man, one day I’ll look back on all my posts that are me yelling about Cendrillon Palika when Otomate is Done with any further developments for the series and see how much foresight I had. I guess that will probably be…maybe in a year or two’s time, so the next closest deadline will be in roughly nine months. Hell yeah, I will unabashedly enjoy whatever I want with confidence. See you, future Kaede. HOPE STILL EXISTS. That’s the one phrase that’s been ringing in my head the most out of the episodes I watched. Thank you, kids’ shows, for always being a constant source of optimism I can smile at. There were some really, really striking visuals I absolutely loved when it came to the Twilight and Dyspear episodes…the framing is so good. I again didn’t find myself all that invested like with Dokidoki and Heartcatch, but I got really absorbed by the episodes leading up to the conclusion regarding the themes of dreams, and happiness and sadness coming in cycles. I’m not very sure why I don’t get as excited to watch Pretty Cure as I do with Kamen Rider…I guess it lacks the live action cheesiness factor. …Actually, huh, what anime have I watched? The one that stands out the most to me is probably Samurai Flamenco. I’ve definitely watched more than that, but I think I’m more prone to watching long-running shows (Cardfight!! Vanguard, Inazuma Eleven, Future Card Buddyfight) than I am to watching seasonal anime that run for 12 to 24 episodes. That’s probably so that I can think less about what to watch next while I’m marathoning them, I guess. This actually reminds me! I attempted to watch the first episode of K-ON! and Hyouka a long time ago and I excused myself from both at around the 13 minute mark. I am much nicer to myself when it comes to dropping anime than I am with video games. I think it’s also because I can pace myself with text, and for shows I absolutely have to dedicate 24 minutes of my life to it, no more, no less. They just didn’t engage me at all…I distinctly remember pausing both shows constantly to check on my tabs until I forgot I was watching them. Weddings are always surreal to watch. Like wow…real life commitment…may your relationship blossom. I didn’t do much other than grab free food and take all of the flowers from the reception after it was finished to use in resin crafting. Hell yeah, I’ll take what I can get my hands on. I eventually had to throw a bunch away since they started growing mould after a couple of weeks or so, but I managed to get some use for them before that happened. The flowers are surprisingly resilient – I don’t think they showed any signs of wilting until maybe 3 or 4 days later. I wonder if florists add anything to them to make them sturdier? I think flowers you pick from the wild wilt much faster than that. Weakly raising a fist…I am the strong…I just have about three more cards to write and I think I will call it done for 2018’s round of cards. The thing I’m proudest of making this month. Damn…I can art…drawing is very easy when you have a central theme in mind for individual characters, such as “favourite food” or “with a companion”. Sometimes I ask myself, hm, do I like Cendrillon Palika, and then I look at this and think about how I was so excited to get this done within three days of starting it and probably strained my back colouring and how I regularly surf for thoughts regarding the game and I’m like, yeah, I guess so. This would’ve been the feature art at the top of this post, but I didn’t want to give up the “contender for most heterosexual picture I drew this year” opener, so it’s side-by-side with said contender. Speak of the devil. I actually had to force myself to think up of the ideas and compositions for these pictures rather than them happening naturally. Truth: I could only motivate myself to draw anything for Shien’s birthday provided that Haili was in the picture. WHY DID I FORCE MYSELF? I DON’T KNOW? I think my friend’s enthusiasm for Shien and Haili rubbed off on me and I felt like I did want to contribute more art towards Cendrillon Palika. You know, that feeling of IF NO ONE ELSE IS GOING TO PROVIDE SUSTENANCE, THEN I’LL DO IT MYSELF. I guess that another somewhat reason would be that if I did have to choose one guy out of all of the guys from the game, Shien would probably be my pick. Thank you for mutual advances. Haili is very cool. Honestly, I’m pretty cool with all the guys as characters, but it’s…definitely a different story if we’re talking about in terms of them being a couple with Haili, ha ha. I think that’s how I feel with otome games in general, though. More Hailis. I am still physically incapable of not drawing Haili at the moment. I love energetic protagonists. But I mostly just like drawing girls. I am eternally thankful that otome games are at least one medium where I can consistently get my female protagonists. PSYCHEDELICAAAAAAAAAA (SNOWDROP PLAYS) — ahem. I’ve been wanting to make crafts for the Psychedelica series for a while now. I wanted something with an underwater feel for Black Butterfly, and something along the lines of a snowdrop field for Ashen Hawk. The white flowers…I don’t know what the name of it is, but they’re the ones I pilfered from my cousin’s wedding reception. Everyone was very enthusiastic about helping me pilfer flowers after the wedding was done with since they wouldn’t be going anywhere else anyway. Beniyuri has some parts where the ink streaked because I didn’t seal it in fully, but it was a happy accident where I like the end result since it did help to capture that underwater feel I wanted. These were more or less tests, and I might try to revisit them in the future by remaking them, but I’m quite happy with how they turned out. I have another one I did for Ashen Hawk that didn’t turn out so well, so I used that experience to build on the one I show here. Too bad about the line where the circle mould joins, though…I hate sanding things, so I guess I’ll just have to live with it being part of the end result. It did turn out neater than expected, so it doesn’t detract too much from the overall product. January has been alright so far. I’m making things I want to make, and life itself is going as per normal. Pretty much the ideal! I hope that all my diary entries this year will have a “made things I wanted to make” or “did things I wanted to do” section there. It’s very fulfilling doing the things you have in mind and putting them into action. I hope the same goes for everyone! I can’t believe a full month is already upon us. How has everyone been doing? I hope everyone has something to look forward to in the year.